Cheque volumes in the UK may have dropped from four billion in 1990 to 558 million in 2015, however the introduction of the Cheque Image Clearing System (ICS), formally known as the Future Clearing Model, will modernise the payment method, with banks using digital images of the cheques to process all payments. Martin Ruda, Managing Director of the TALL Group of Companies, explains how this innovation will benefit the payments industry, businesses and consumers alike. It is hard to believe that the cheque as we know it celebrated its 357th birthday in February (2016) with 16th February 1659 being the date of the earliest example of a handwritten cheque, known to be in existence in the UK. It was drawn on Messrs Morris and Clayton, scriveners and bankers based in the City of London, for £400 (about £43,000 today) made payable to a Mr Delboe and signed by Nicholas Vanacker. To put this into context the payment method was first used whilst England was still a Republic following Parliament’s victory in the Civil War. In fact the cheque had already been in circulation for several years before the Great Fire of London tore through the City’s streets in 1666! The process for banking a cheque in the 17th century may have been somewhat different to that of today, but the basic premise has remained largely the same. However, this year the cheque industry will undergo the biggest transformation of its long and illustrious history with the introduction of the Cheque Image Clearing System. In preparation for an initial go-live in March 2017, the cheque clearing industry is committed to exchanging some cheque images and data, instead of a physical paper document, as the first stage of legislative changes laid out by the Small Business, Enterprise and Employment Bill. By the end of October 2017 all banks will be required to clear all cheques based on just the image and data files alone, and no further paper cheques will be exchanged between banks. As a result, the time taken to irrevocably clear a cheque will be significantly reduced from the current six-day cycle, an archaic timescale more suited to our 17th century cousins. I recently had the pleasure of listening to a presentation from Jane Bevis, the Independent Chair at the Cheque & Credit Clearing Company, who was discussing the Cheque Image Clearing System. During her speech she said that, “the good old dependable cheque is set to become the innovative, new, dependable cheque”. I applaud Jane’s comment, and I believe that businesses, consumers and the payments industry as a whole will benefit from a modernised process for clearing cheques. The key benefit of the Cheque Image Clearing System will be the ease and the speed with which funds are paid from one account into another. Rather than waiting for the best part of a week, the new system will guarantee that funds will clear by the end of the next working day. However, under the new model, some financial institutions could choose to make the funds available even quicker than that, depending on the customer, their appetite for customer service and the amount being transferred. The clearing process could even be reduced to just a couple of hours and eventually be in near real-time. Initially, I believe most banks will stick to the maximum timeframe of the new system (the end of the next working day), but as the model takes hold and the industry becomes more confident and comfortable with the implementation of the new technology, irrevocably cleared funds will be made available more and more quickly. Even if near real-time cheque clearing becomes the norm, there is no customer requirement to make the cheque a competing payment instrument against mobile, debit and credit cards or e-payment tools. The cheque exists and persists because it serves a purpose for certain categories of user. This new clearing model has been put in place to benefit this host of users who prefer to use cheques. 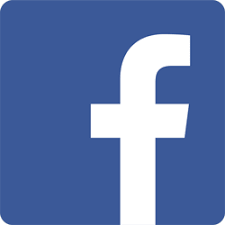 These are people who may be less comfortable with technology, prefer a physical paper document and a manual record of activity, require a payment method that accompanies a letter, or provides a detailed reconciliation to a payment request, and so on. Moving forward, I believe the Cheque Image Clearing System will also act as a springboard for further innovation as FinTech suppliers to the payments industry support the new clearing world by developing exciting new solutions that will further benefit financial institutions, businesses and consumers. 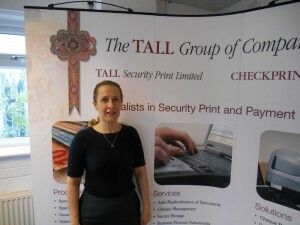 The TALL Group’s expertise and experience as an industry leader provides the company with the platform to develop innovative new services that can support the introduction of the Cheque Image Clearing System. 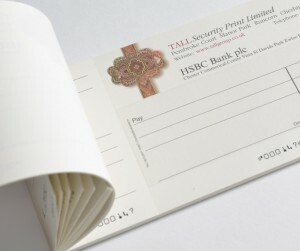 In 2015, TALL Group subsidiary Checkprint Ltd was awarded funding from Innovate UK, the UK’s innovation agency, to develop an automated flagging system for cheques that alerts operators to any potentially suspicious activity, at the point of scan and before the images and data are injected into the clearing system. The solution, Checkprint’s CheckMate® (patent pending), highlights potentially counterfeit cheques, as well as items that may have been fraudulently altered after being issued by the account holder. Using a range of automatic checks, including the invisible ultraviolet (UV) print content present in all UK cheques, CheckMate® UV Fraud Prevention Software delivers a confidence level assessment of the validity of the item, removing any manual, subjective checking process at the very start of the reduced clearing time cycle. The TALL Group is able to highlight and address potential issues concerning fraud prevention and risk management because it has closely witnessed the development of cheque image capture, archive, reconciliation and query resolution across mainstream corporate UK cheque banking. The submission to Innovate UK succeeded because of the knowledge and experience to accurately describe associated risks, whilst also understanding the relationship between cheque design, image capture applications and the banks’ requirements to fight fraud. The Cheque Image Clearing System will be the catalyst for true modernisation and the cheque, whilst rich in history, is set to become more innovative, efficient, dependable and cost effective. The 21st century cheque will deliver benefits to businesses and consumers alike, whilst encouraging organisations like the TALL Group to continue to invest in technology-enabled innovations that deliver real value.